Ensure your space at Svalbard’s biggest event of the year with a special reservation booked directly through our reception desk. 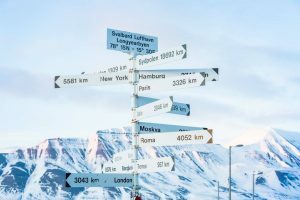 The Svalbard Skimaraton attracts about 1,000 participants annually, including many world-class racers, and all lodging in Longyearbyen typically sells out many months in advance. Our special personalized offering will guarantee you a comfortable and friendly place to relax before the race and warm up afterward. You are still on time to write your name on the list, and enjoy life while skiing in the wilderness of the most outstanding place on the world! 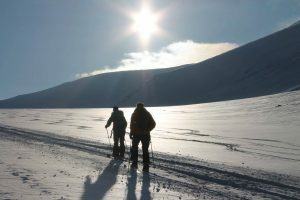 Combine this arctic experience with terrific activities during our long winter. Become a musher and drive a dog sled in enormous areas surrounded by white landscapes. Get ready to watch the tracks of the polar bear, and have a blast like the King of the Archipelago. Save pages to write down this adventure next 2020. Don’t waste your time and be the first to get cool! Special not available through our online booking system. Make your reservations by contacting our reception at info@gjestehuset102.no. Gjestehuset 102 is located in Nybyen, in the heart of Longyear Valley, offering accommodation with distinctive and casual atmosphere. Here is a lot of history in the walls.